Sometimes we have clients who struggle with finding motivation. They may struggle to find motivation in developing a career, accomplishing a goal, or moving on to the next phase in life. There are a number of reasons why a person may struggle with achieving a goal. This is why it is important that the client develop a level self-awareness in understanding the goal that a client wants to achieve, what they need to achieve this goal, and what is holding him or her back from achieving the goal. This is a Setting Life Goals worksheet. This worksheet has been designed to help a client get in touch with what he or she wants in life, and what goal needs to be achieved to meet this desire. 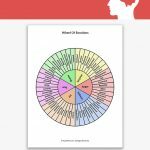 This worksheet outlines what is needed to achieving a goal, what resources or qualities a client has to achieve the goal, and what he or she needs to know to begin working toward the goal. This worksheet is a great way to begin a conversation about goal setting and maintaining motivation to achieve the goal set to live a happy, fulfilled life. 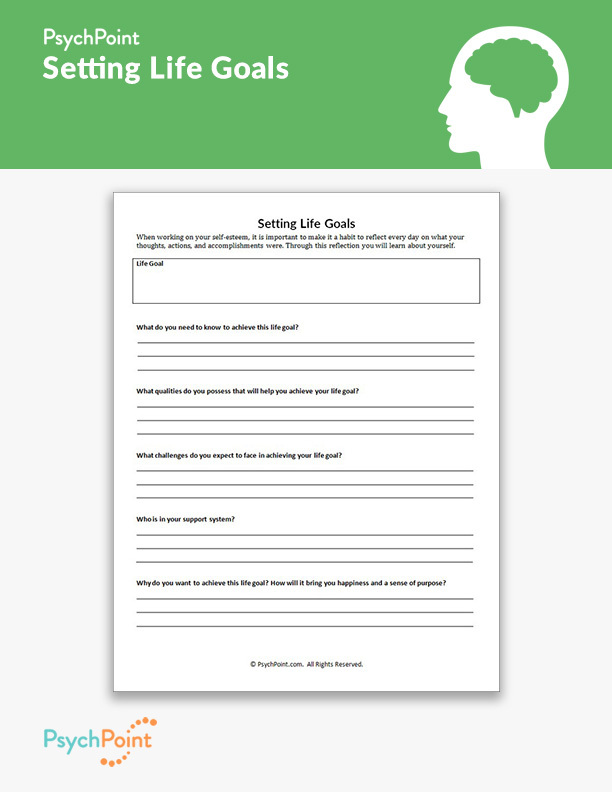 This worksheet is a great way for a client to brainstorm about a life goal. The client is instructed to first create a life goal. Then, the client is asked a series of questions to begin developing a connection and understanding of the goal. What do you need to know to achieve this life goal? What qualities do you possess that will help you achieve your life goal? What challenges do you expect to face in achieving your life goal? Why do you want to achieve this life goal? How will it bring you happiness and a sense of purpose? Each of these questions serve as a means to develop motivation and realistic expectations in achieving this goal. This worksheet is a great pre-requisite to the Goal Planning worksheet.